Everyday we see a lot of advertisements anywhere from billboards, newspapers, magazines, on t-shirts, hats, cans, bottles, umbrellas, benches, on windows and walls to television and radio. Businesses want their products or brands to be known in public. This is the reason why it’s good to start the advertising business now! If you’re thinking of starting a business in the field of advertising, you may want to ask yourself “what is the best advertising business idea to start?” Don’t fret because here are some list of advertising business ideas you can choose from. #1. Starting an Ad Agency Business focusing on small businesses – if you are fond of constructing catchy phrases and combining it with striking graphics, then starting an ad agency business is right for you. #2. Starting a Transportation Ads or Transit Advertising Business – known as “moving billboards” because the ads are usually placed outside and inside of buses and other public transport vehicles. It can also be placed in waiting areas, at stations and terminals. #3. Starting a Seminar Organizing Business – If you have the guts and energy of arranging and hosting seminars, then this is the business you may want to start. As a seminar organizer/ promoter, you’ll scout amusing and inspiring speakers, attendees and make all the arrangements to make the seminar fun, inspiring and memorable. #4. Starting a Promotional Item/ Product Business – Promotional items like pens, mugs, note pads, stress reliever balls, bags, hats, t-shirts, foldable flyers, calendars, buttons and pins are often branded with a logo or slogan and given away to promote a brand, company, corporate image, or events. #5. Starting an Advertising Consulting Business – Starting this business means you already have an extensive experience in the field of advertising and must have a solid foundation of connections and clients. As an advertising consultant, you should formulate new advertising campaign ideas and help bring plans into focus; work closely with the creative team at an agency, brainstorming and helping the team realize a client’s vision. #6. Starting a Public Relations Agency Business – If you have an excellent interpersonal skill with many connections, then this is the business for you. As a public relations agent, it is your duty to create and maintain good public reputation, attract attention and present your clients in a positive way. You may use press releases, newsletters, blogs, social media and even attending public events to get your clients’ stories in the news. #7. Starting an Internet Marketing Consulting Business – Your primary target market here are businesses with low traffic web sites. As an internet marketing consultant, you can offer various services to your clients like setting up a website, boosting client’s traffic by setting up links and banners to other sites, social media advertising etc. #8. Starting a Window Billboard Advertising Business – Underused window space on offices and vacant storefronts are highly and potentially profitable places to display window billboards. Many marketers like it because window advertisements can be three dimensional and interactive. #9. Starting a Human Billboard Business – Human billboard advertising is a unique, simple way of engaging human in promoting the product or brand to people. 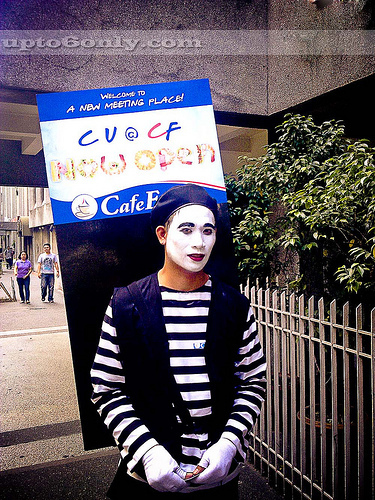 Human billboards are simply people with or without costumes that hold signs or banners with promotional and advertising messages directly to potential customers in densely populated areas, such as busy streets, university and college campuses, events and malls, for example, where other types of advertising might not be permitted. #10. Starting a Video Photography Advertising Business – Having a drone with camera is a good additional investment to have for your video photography advertising business. Many companies look for videos for brand building activity. Potential clients include government agencies, homeowners, property developers, corporations, outdoor-event organizers, and sporting-event organizers–basically, any person or business that wants or needs aerial photographs of his or her home, building, event or property.